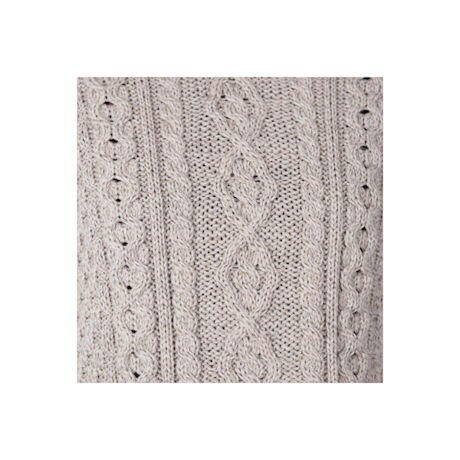 An updated classic in heritage Aran stitches, perfect with jeans or leggings. 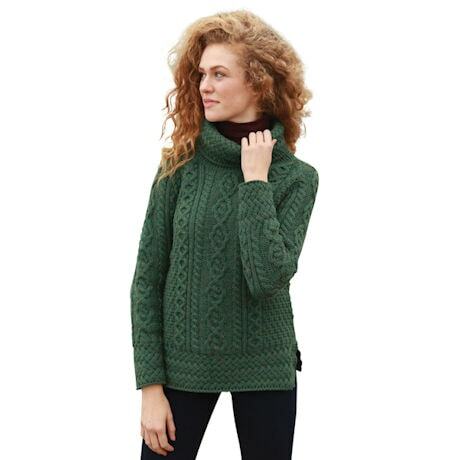 Tunic-length pullover sweater has a flattering cowl neck and side vents for ease of movement. In luxurious 100% Merino wool. Handwash or dry-clean. Made in Westport, County Mayo, Ireland. Size M hangs 26". Sizes S(4-6), M(8-10), L(12-14), XL(16) XXL(18). Choose Green or Wicker.